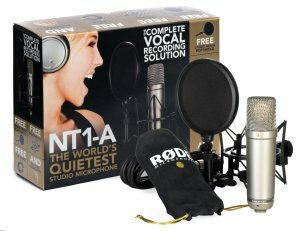 The Rode NT1A Studio Condenser Microphone is one of the best microphones for vocals but it is equally suited for other acoustic recordings, read on. It is advertised as a Complete Vocal Recording Solution, and, it is, but I think they might be selling it short, as it is a complete acoustic guitar recording solution too! Why is the Rode NT1A a solution? Because in the package you get everything you need to make professional recordings. 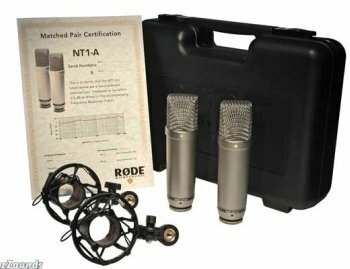 What is included in the package along with the Rode NT1-A's specifications (see below) makes this one of the best condenser microphones to buy. But even with all that it would only be a great deal if the recordings from it sound great. As you would expect from a Rode's the recordings are great.But you not only get good vocals but it equally sounds great with an acoustic guitar and I would be tempted to use it as my only microphone.Except I need more than one microphone. It has a very worm natural response,with a nice, flat response. The cardiod response and low noise is great for home recording with noisy ambiences. As its a condenser microphone it picks up a lot of sound, but very little noise! Very little has to be done to clean up the vocals. The vocals cut through the mix without needing to boost the gain. Very little distortion with a clean and realistic performance. Sounds just as good with acoustic guitar as it does with vocals. All and all this is a great sounding microphone! 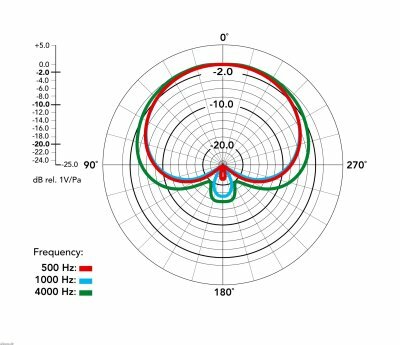 Acoustic Principle: Externally polarized 25mm (1 in.) condenser. You can buy the Rode NT1A as a matched pair which enable you to create a true stereo image.